Same shot as above, but defished and detwisted. Wow, that is a massive difference. I'm glad that you did it because the original one was messing with my mind. It is difficult for me to look at too. Like how things might look on a trip with psychedelic mushrooms or LSD. 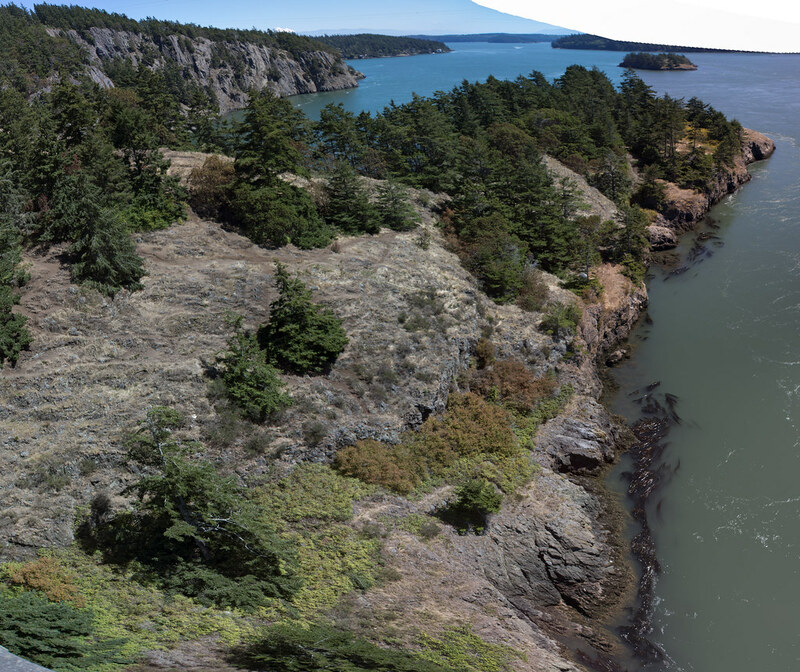 A not so psychedelic panorama from Deception Pass. Only two images joined, in Photoshop. 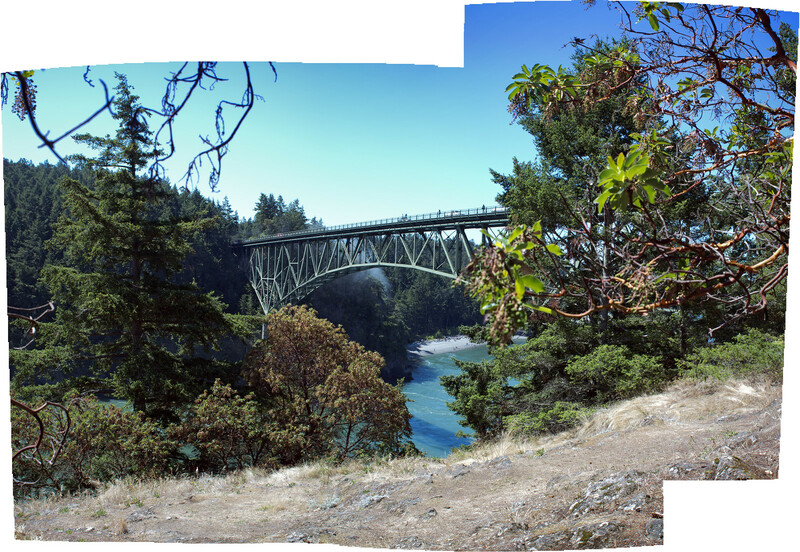 Yet another view of the Deception Pass bridge, shot from a viewpoint along a short hike on Pass Island, the tiny island the bridge crosses over. 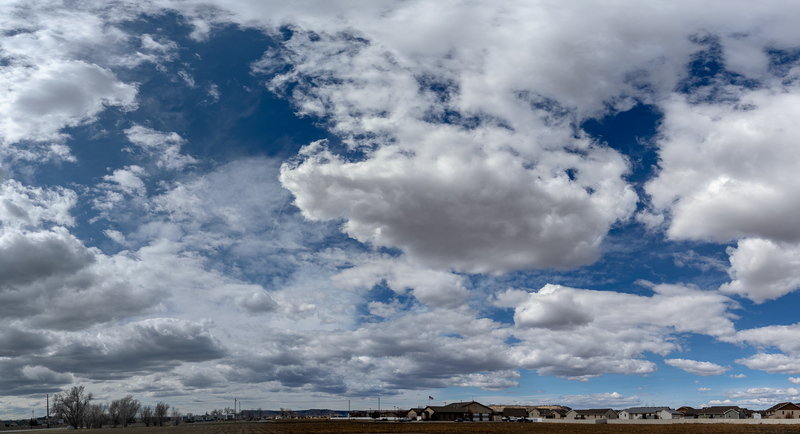 5 images stitched directly from DNG in Photoshop, color corrected and adjustments of shadows and highlights. 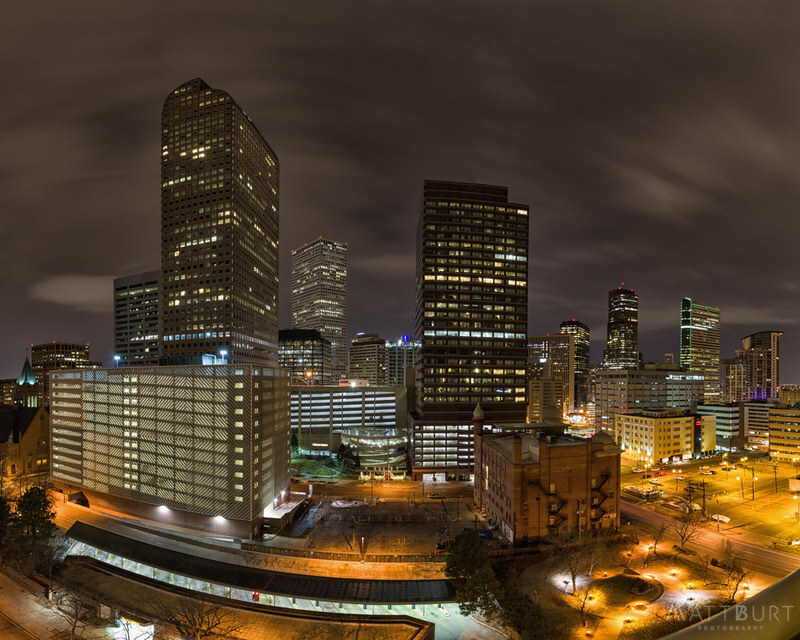 I was in Denver Tuesday night and shot a couple of panos from our hotel. 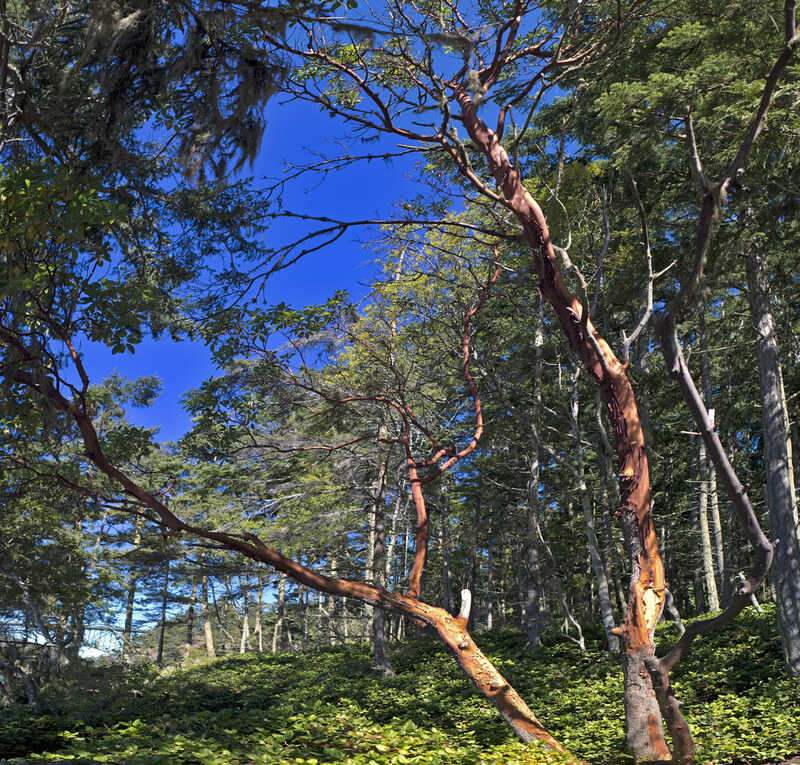 More from Deception Pass. This one is Pass Island, created from 34 images, some landscape, some portrait, direct from DNG in Photoshop. Final assembled from 5 sub assemblies. The order, overlap and varied orientation of the frames made it impossible to merge all 34 images at one time. Twisted and de-fished into something a bit more normal looking. 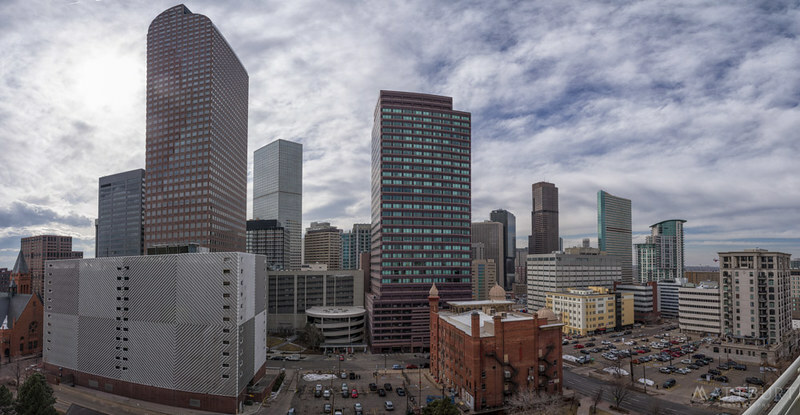 Last edited by timb64; 04-03-2019 at 06:34 AM. 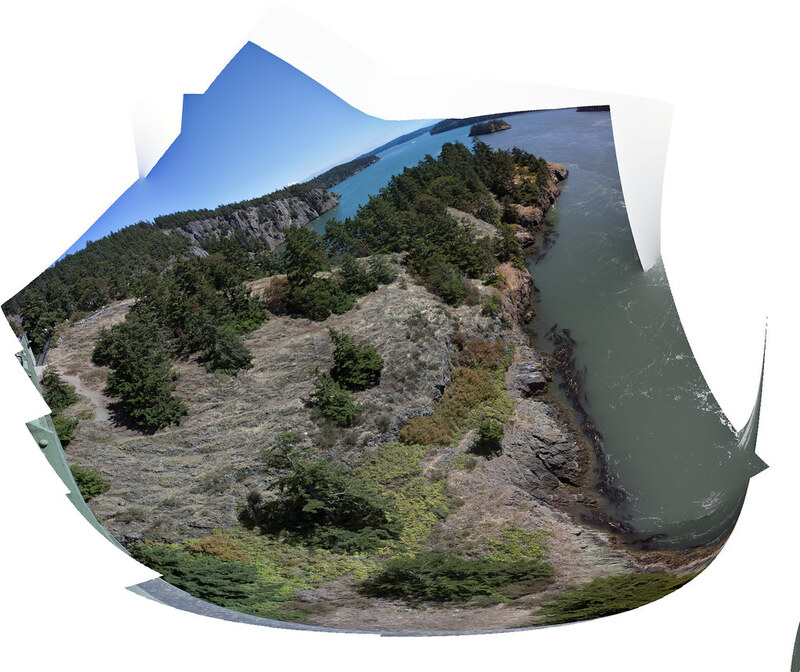 K-1ii, FA43, hugin set for equirectangular projection. Another 5 portrait image merge. The mountain range (third image) is especially good.